The vast literature on Our Lady of Guadalupe dominates the study of shrines and religious practices in Mexico. But there is much more to the story of shrines and images in Mexico’s religious history than Guadalupe and Marian devotion. In this book a distinguished historian brings together his new and recent essays on previously unstudied or reconsidered places, themes, patterns, and episodes in Mexican religious history during the seventeenth, eighteenth, and nineteenth centuries. William B. Taylor explores the use of local and regional shrines as well as devotion to images of Christ and Mary, including Our Lady of Guadalupe, to get to the heart of the politics and practices of faith in Mexico before the Reforma. Each of these essays touches on methodological and conceptual matters that open out to processes and paradoxes of change and continuity, exposing the symbolic complexity behind the material representations. 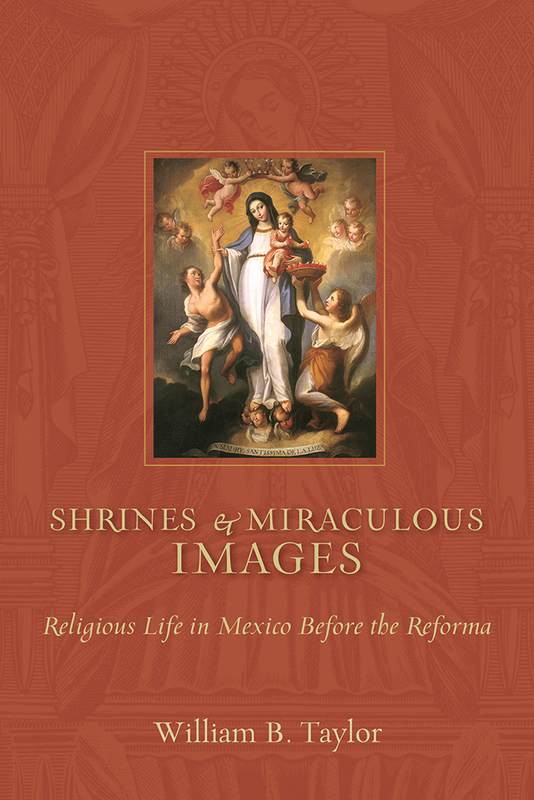 "Shrines and Miraculous Images is a rewarding read for anyone interested in the history of Catholic Christianity in general, as well as in religious images and imagination in late colonial and newly independent Mexico more specifically."